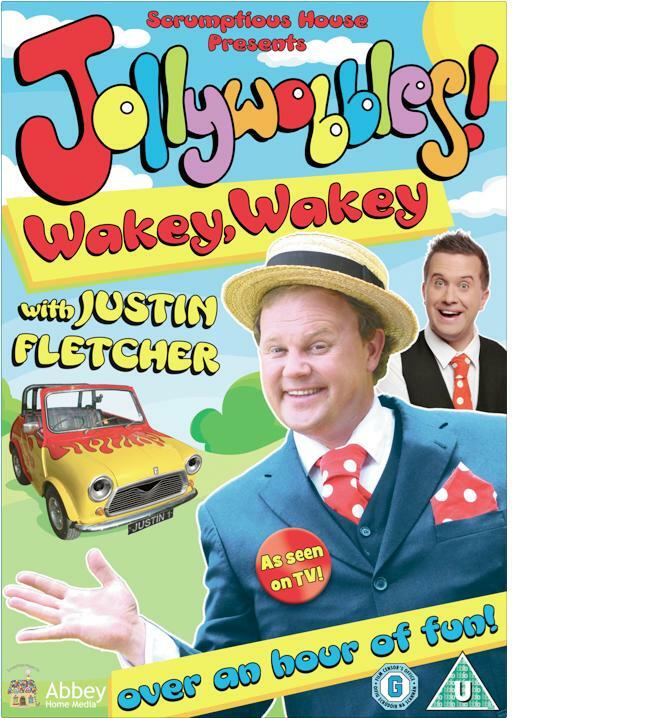 On hearing that Justin Fletcher both wrote and stars in Jollywobbles!, I knew it had to be a hit with my two. I don’t think I’ve met a child yet that isn’t mesmerised by Justin Fletcher in whatever guise he takes, be it Mister Tumble or any of the Tumble clan, himself in his fabulous show Justin’s House or one of the many characters he plays in Gigglebiz. My two are always keen to watch a programme starring Justin so I was keen to see whether Jollywobbles! had the same impact. Gallagher aka Mister Maker which 5yr old Miss M spotted immediately and got all excited that “Mister Maker” was in the DVD as well as Justin Fletcher. His antics include a lot of cream cakes, diy disasters, silly dancing & amusing times around the swimming pool etc. My 2 and a half year old son found this DVD very amusing and likes imitating Justin when he can. He asks for Jollywobbles! to be put on every morning and sits watching it completely immersed in the action and giggling away to himself. I would definitely say this suits the younger viewer who is a keen Justin fan! Five year old Miss M did enjoy watching as well and we did catch her laughing along with her brother although I would suggest this is best suited at preschoolers. The Jollywobbles! DVD is available to purchase from from all good DVD stockists. This entry was posted in Reviews and tagged abbey media, fun, Jollywobbles, Justin Fletcher, slapstick, wakey wakey by Fiona Martin. Bookmark the permalink. both my kids love this dvd too!